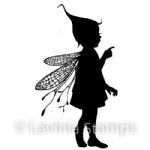 As seen on Hochanda. Product contents: Plastic storage box with 5 compartments, 10 Cadmium Free and Nickel Free toggle clasps, 10 lobster clasps, 40 5mm jump rings, 40 crimps, 40 Nickel Free earring hooks, 40 headpins, 10m Tigertail, 1 Design Board. 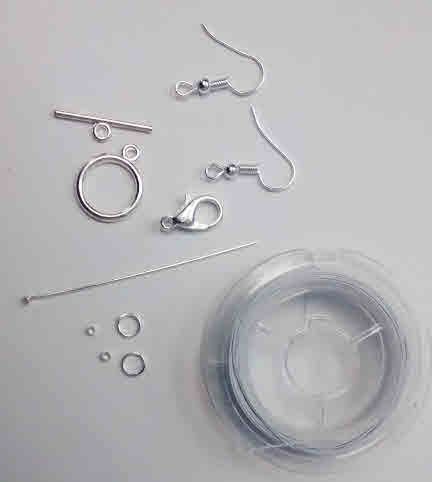 This handy starter kit contains all the findings you need to make beaded jewellery. 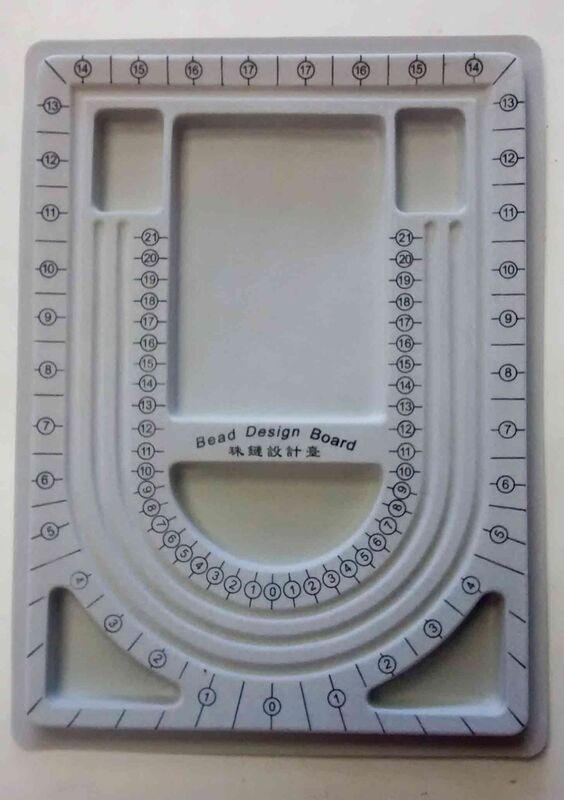 The kit contains 10 toggle clasps, 10 lobster clasps, 40 5mm jump rings, 40 crimps, 40 earring hooks, 40 headpins, 10m of Tigertail beading wire a design board to lay out your beaded designs and a handy 5 compartment reusable plastic storage box. 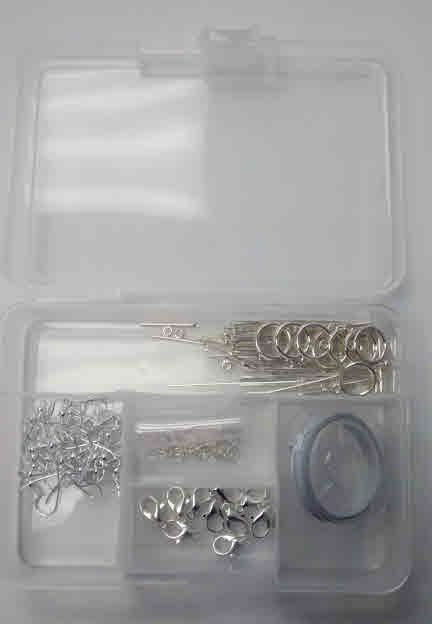 Your kit contains enough findings to make about 20 necklace and earring projects. 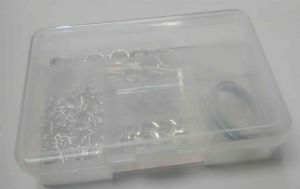 The close-up picture indicates the different findings in the kit - in the quantities listed above.